At the age of 19, Jessica invented the SOCCKET ball, an energy generating soccer ball that provides off-grid power for the developing world. At the age of 22, she founded Uncharted Play, a renewable energy company specializing in motion-based, miniaturized power systems. Jessica was invited by President Barack Obama to the White House to represent small companies for the signing of the America Invents Act in 2012, and currently serves as an Ambassador of Entrepreneurship for Nigeria. In 2016, she was selected to ring the NASDAQ opening ceremony bell, representing all Forbes 30 Under 30 alumna. Jessica’s research and career centers around the intersection of disruptive technology, human behavior, and the psychology of self-actualization. A dual citizen of Nigeria and the United States, Jessica has a degree in Psychology and Economics from Harvard University, and an MBA from Harvard Business School. Her list of accolades include Fortune’s Most Promising Women Entrepreneurs, Forbes 30 under 30 list, Black Enterprise’s Innovator of the Year, and Scientist of the Year by the Harvard Foundation. 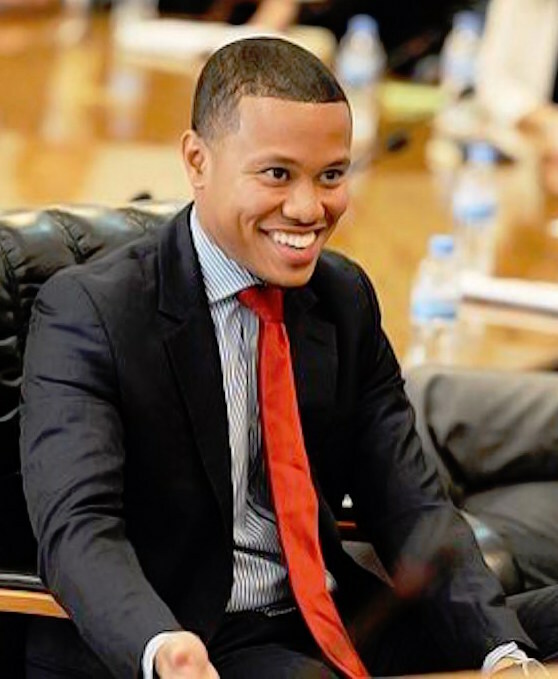 Clayton Banks is the Co-Founder and CEO of Silicon Harlem. The mission of Silicon Harlem is to transform Harlem and other urban markets into Innovation and Technology Hubs. Under his leadership, Silicon Harlem has been able to partner with the Department of Education for New York City to establish an after school STEM based startup accelerator, collaborate with the NYC Mayor’s office to assess wireless broadband in upper Manhattan and coordinate a virtual startup incubator for tech based entrepreneurs. Banks has established and produces the only comprehensive technology conference in Harlem, the Silicon Harlem tech conference, which is focused on next generation internet and its impact on urban markets economic development. Prior to Silicon Harlem, Banks has been a pioneer in the cable and communications industry for over two decades. Banks has received many awards for outstanding creative and corporate awards including an I.D. Magazine Award, a Davey Award, Promax, @dtech award, Creativity Award, Astrid Award, Ten Awards, the Communicator Award, a Boli Award, the Harlem Business Alliance Business Person of the Year, inducted as a History Maker in the United States Library of Congress, the recipient of the Trailblazer award from Rainbow Push and most recently received a proclamation from New York City as a Technology Leader. Banks attended California State University at Fullerton, where he received degrees in Business Administration and Communications. Banks also completed a Cable Industry sponsored Executive Management program at Harvard Business School. Dana Reed is the CEO of The Africa Center, and was also the CEO of PanAfrican Investment Co., a private investment company that made impact investments in SMEs in sub-Saharan Africa. She grew the company from inception to ten employees with a portfolio of seven SMEs. Prior to joining PIC, Dana was a Managing Director at Semper Capital, a structured credit asset management company with $1.5 billion AUM. Her responsibilities included marketing, product development, and strategic growth of the firm. Before Semper, she was an investment banker at JP Morgan and Goldman Sachs. Dana began her career as a Fellow at the Export-Import Bank of the United States. She received a BBA in International Business from Howard University and a MBA from Howard University. She is a Trustee at BrightPoint Health and Randall’s Island Park Alliance. Dana was appointed by New York Governor Paterson to serve as a Director of the Harlem Community Development Corp. and continues to serve in that capacity today. She is an active member of the African Leadership Network and received the 2013 CUP Catalyst for Change: Finance Award. Dana is a frequent speaker at industry events in both the US and in Africa and has appeared on TheStreet.com and Arise TV. Jamila is currently an associate at DLA Piper, a leading global business law firm. 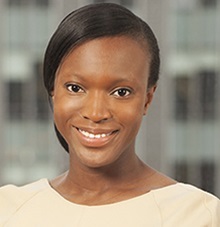 Prior, Jamila has worked as an Associate at Brown Rudnick, where she focused on representing bondholders, distressed debt purchasers, and ad hoc committees of creditors in in-court bankruptcy proceedings and out of court restructurings. Jamila has also worked as an attorney for International Bridges to Justice, where she focused on developing legal aid systems to strengthen the rule of law and end criminal investigatory torture in Rwanda, Burundi, and Zimbabwe. Her international experience also includes work towards starting and strengthening legal aid programs in Uganda, Tanzania, Kenya, the Democratic Republic of the Congo, and the Central African Republic. Jamila is also a chairwoman for High Water Women, a 501(c)3 organization of professional women passionate about philanthropy, as well as a leadership council member for the Sadie Nash Leadership Project, an organization founded in 2001 to promote leadership and activism among young women. Ryan is the Director of Investments at Magic Johnson Enterprises, which strives to strengthen urban and underserved communities. There, he identifies, assesses, and executes direct investment opportunities. Additionally, Ryan co-founded Restoring Our Character, a non-profit focused on introducing inner-city boys to various experiences, skills, and opportunities that help them bridge the gap from a life of poverty to a life of prosperity. Previously he has worked as a venture capital fellow at InSITE, a highly competitive leadership development program with a mission to create a community of passionate leaders who share common values and have the desire, ability, and network to support innovative companies and projects around the nation. Ryan also was selected as a fellow for the Council of Urban Professionals, a 10 month intensive training and board placement fellowship. Prior, Ryan consulted at Dream a Dream, which empowers children with vulnerable backgrounds, theAudience, one of the world’s largest multi-channel publishers of social content, and in venture capital for Bronze Investments and Kapor Capital. Ryan serves as a Chairman of The Associates’ Board in Chess-in-the Schools. Christal is the founder of Head and Heart Philanthropy and Jackson and Associates Group, LLC. Head and Heart Philanthropy is an organization committed to connecting philanthropists, thought leaders, social entrepreneurs, and nonprofit practitioners. Jackson and Associates Group is a boutique fund development and branding firm, focused on serving the philanthropic and socially conscious needs of high net worth individuals, athletes, elected officials, celebrities, faith-based institutions, and community organizations. Additionally, Christal consults for Level Playing Field Institute and the Global CSR & Diversity and Inclusion Strategy for Thomson Reuters. She was featured in March Magazine for Women and was the only African American female in their inaugural publication. EBONY magazine also recognized Christal as one of their Future 30 Leaders in America. Christal serves on numerous boards including Junior League of America, Woodhull, National Alumnae Association Spelman college, Howard University Board of Visitors-School of Divinity, Kenneth A. Smaltz Sr. Foundation, and ME & WE. She is also an inaugural member of The Council of Urban Professionals Leadership Board and Urban Souls Dance Ensemble.